We provide a quality shoe repair service ranging from just heels to complete soles and heels. 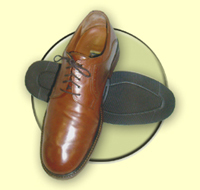 We have many years of experience in repairing shoes. We have been established on the high street for over 20 years. Not only do we repair shoe soles and heels but we specialize in replacing zips and stitching on boots, shoes and most leather goods like luggage bags and hand bags. 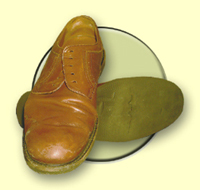 To take care of your shoes and other leather goods we keep a vast range of shoe care and leather care products. All our product are of the best quality from melatonin and punch.